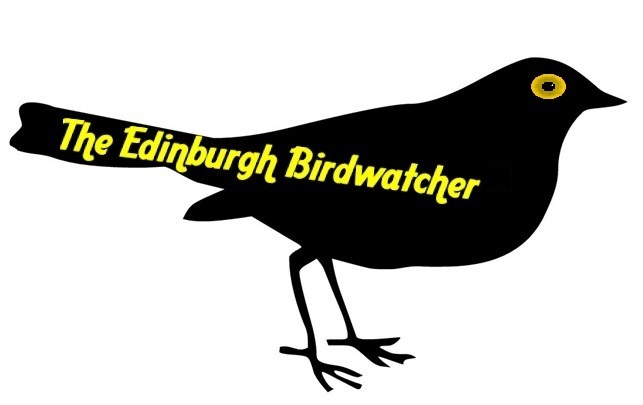 August is Festival time here in Edinburgh so that means I will be having a break from Birding to enjoy the atmosphere of the city but I will still watch birds in town and of course in the garden. Lots been happening in July not so much Birding I’m afraid, I’ve not really had time it’s been a busy one with other activities. My family decided to get a Summer House at the end of June and we decided to have a Puffin theme after seeing The Puffins in Mull, you can read about that trip in my last blog. In the Summer House we have a few Puffin stuff inside two pictures one is a plaque painted by my good friend Karen Hartnell and a couple of coasters, we have been sitting in it a lot during this amazing heatwave we have been having with lots of BBQs and we decided to give the Summer House a name it is called ‘The Puffin’ and we have the plaque to prove it I got it made through Timpsons. At the beginning of July I took part in The Great Scottish Walk raising money for The Scottish Wildlife Trust. It was a beautiful sunny day and a great day for a walk and I did see a Heron on my walk, the next day at The Scottish Wildlife Trust HQ were I volunteer they asked me how it went & Congratulated me though I only raised about £50 they were still happy that I chose them to raise money. Also in July my brother got married at Dundas Castle it was a great day and the next day we held a Garden Party it was the first time we ever had one and it was a great success, family and friends loved it. Before the party started two Pied Wagtails wondered about I had seen them around at the front recently and they decided to come to the back garden so managed to get a photo as I’ve never actually had them in the garden before. Last week I witnessed a fantastic spectacle, after having yet another BBQ and cleared the food away lots of Gulls suddenly appeared and within 5 seconds the sky was covered with them. Onlookers stopped and looked up too and was wondering what on earth was going on? After posting a video you can see that on my YouTube channel I asked what was happening and people said they were eating insects. I have never seen a spectacle like that before it was like a scene from the film ‘The Birds’ except these birds were not attacking us. I will finish this blog with exciting news at the beginning of July I was approached by Suzy Buttress on Facebook who presents the amazing Birding Podcast ‘The Casual Birder’ and asked me would I be interested in being interviewed in a future podcast about my Birding experience, of course I said yes I was truly honoured and it made my day it will happen around Autumn time. I will get back to Birding in September and have a few trips planned including a return trip to The Outer Hebrides I look forward to that.